We'd be happy too, stumbling on these gorgeous heels! 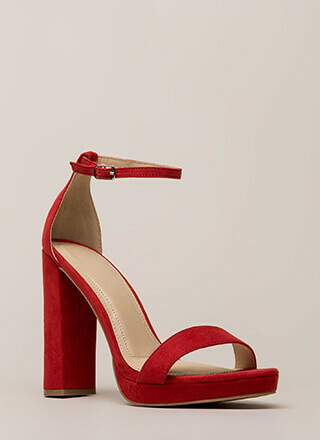 Open-toe vegan nubuck heels feature three crisscrossing toe straps and a slim ankle strap with an adjustable buckle. Shoes are finished with a stiletto heel, exposed sides, and a ridged sole.